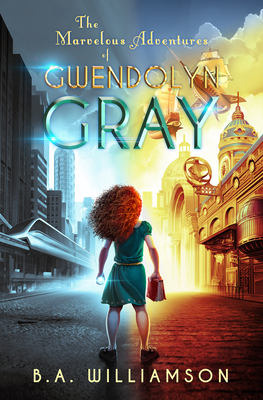 Gwendolyn Gray faces an overwhelming battle every day: keeping her imagination under control. It's a struggle for a dreamer like Gwendolyn, in a city of identical gray skyscrapers, clouds that never clear, and grown-ups who never understand. But when her daydreams come alive and run amok in The City, the struggle to control them becomes as real as the furry creatures infesting her bedroom. Worse yet, she's drawn the attention of the Faceless Gentlemen, who want to preserve order in The City by erasing Gwendolyn and her troublesome creations. With the help of two explorers from another world, Gwendolyn escapes and finds herself in a land of clockwork inventions and colorful creations. Now Gwendolyn must harness her powers and, with a gang of airship pirates, stop the Faceless Gentlemen from destroying the new world she loves and the home that never wanted her--before every world becomes gray and dull.